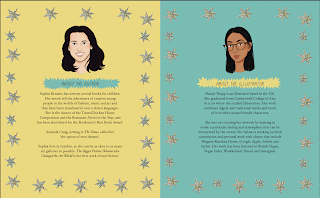 Sophia Bennett's novels tell the adventures of creative young people in the worlds of fashion, music and art, and have been translated into over a dozen languages. She is the winner of the Times/Chicken House Competition for Threads and the Romantic Novel of the Year for Love Song, and has been shortlisted for the Booktrust’s Best Book Award for You Don’t Know Me. Amanda Craig, writing in The Times, called her ‘the queen of teen dreams’. Sophia teaches Writing for Children at City University and regularly gives masterclasses on aspects of writing. 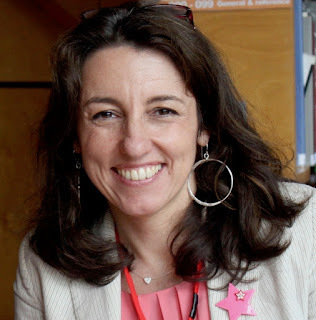 She is currently a Fellow of the Royal Literary Fund, based at St George’s University of London. In 1979 a ground-breaking artwork called The Dinner Party was exhibited at the San Francisco Museum of Modern Art. It celebrated great women in history and the female-centric art forms of needlework and painting on china. In three months over 100,000 people came to see it. Many of them wrote to the artist afterwards to say it had changed their lives. It was the most successful exhibition in the museum’s history. The work was due to go on tour but instead it was boxed up and put away. Art critics called it ‘kitsch’ and museums didn’t like its focus on female anatomy. All except one decided not to show it. A planned tour was cancelled. 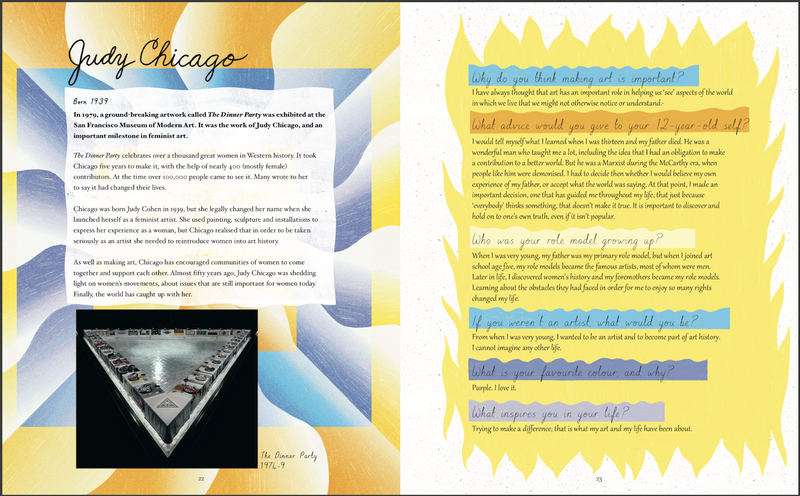 The artist, Judy Chicago, spent that summer alone and $30,000 in debt from the cost of making it. 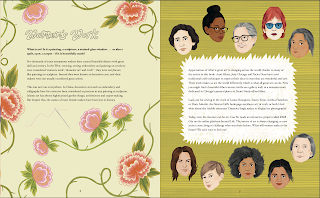 The Dinner Party consists of three tables in a triangle, with custom-made settings for 39 great women in Western history. The names of 999 others are painted on the tiled floor. 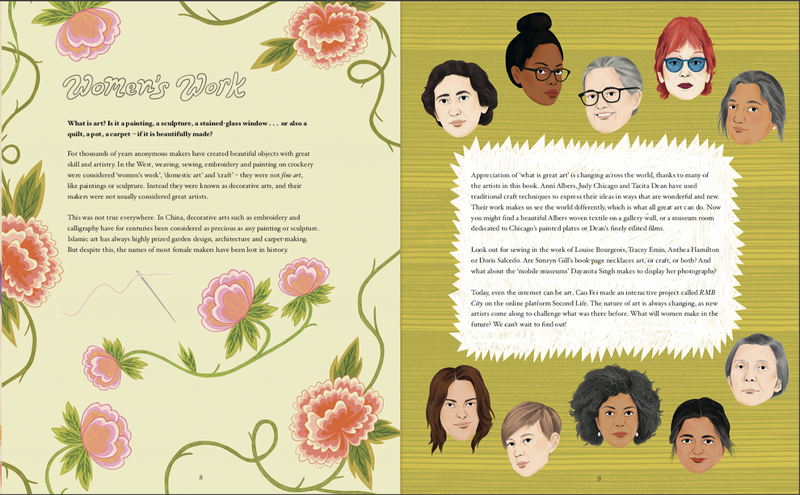 It took Chicago five years to make it, with the help of nearly 400 mostly female contributors. She did it because she had realised that in order to be recognised as a serious artist herself she needed to reintroduce women into history – where so often their contributions had been forgotten. She also wanted women to celebrate themselves, their bodies and what they made. Now this seems obvious, but in 1979 the idea was too radical to survive the censure of the art establishment. Chicago was born Judy Cohen in 1939. She took her adopted name in 1970 when she launched herself as a feminist artist, to divest herself of ‘all names imposed upon her through male social dominance’. She was, however, always grateful to her own father for the liberated, pro-feminist example he set. He had encouraged her to express her ideas and to take art classes, which she did from the age of five at the Art Institute of Chicago. After this start, it came as a shock to her when, at art school in Los Angeles, her teachers did not value her opinions or her art. At first she tried to please them but, frustrated, she went on to study female artists and writers and developed her own style, introducing softness and female-centred experience into her paintings and sculptures – which can be as big as a room, or as small as a biscuit. Today, The Dinner Party is on permanent display at the Brooklyn Museum in New York, with regular exhibitions to explain how it was made. As well as making art, Chicago has for decades encouraged communities of women to come together and support each other. Nearly fifty years before the #MeToo movement, she was describing and addressing the same issues. Finally, the world has caught up with her. Or what about Gwen John - Rodin’s rejected muse, whose letters to the female object of her desire were locked in a cupboard? To look at the muted tones and inner stillness of her paintings, you would think Gwen John had a quiet life. In fact, she was daring, independent and passionate. She was once overshadowed by her beloved younger brother, Augustus, but she has since become the more famous ‘John’. Gwen was a lawyer’s daughter, born in Tenby, a seaside town in Wales in 1876. Her mother died when she was eight. In 1895, aged 19, she left her unhappy home to join Augustus at the Slade School of Art in London. After living in a run-down London squat, John and a fellow artist called Dorelia McNeill decided to walk to Rome, selling paintings along the way. This was not normal behaviour for young women in 1903! In fact, they ended up in Paris where John was soon modelling for Auguste Rodin to earn money while she painted. They had a long affair and she moved to Meudon, a suburb of Paris, to be closer to him. However, Rodin did not return John’s obsessive passion. She nearly stopped working, but her brother Augustus encouraged her to pursue her talent. As I’ve found, the story of women in art often includes men who supported them – fathers, brothers, partners, lovers – only for their legacy to be ignored by the people who wrote that story later on. John’s paintings portray the opposite of her precarious adventures. Their closely-related tones suggest calm, intimacy and reflection. Leading a solitary existence, she painted mostly interiors and portraits of women, including the local nuns. Her sitters look thoughtful, as though they have a deep interior life. John doesn’t make them look idealised and beautiful, but intelligent and interesting. Often, she would create many different versions of a painting until she felt she had got it right. She was unlucky in love again, this time with a woman called Vera Oumancoff. Gwen showered Vera with letters enclosing over a hundred drawings and watercolours. Unmoved, Vera stuck them in a cupboard. John’s final days were spent in Meudon, in a house on stilts set in an overgrown garden, surrounded by cats she fed with expensive paté. She set off for Dieppe one day in 1939, and died there, aged 63 – eccentric and independent to the end. However, in a twist of fate, Gwen’s hidden letters to Vera were discovered decades later, along with their exquisite enclosures. The person who found the letters was Susan Chitty, who went on to publish the first major biography of John in 1981. This led to the art world’s full appreciation of John’s talent at last. 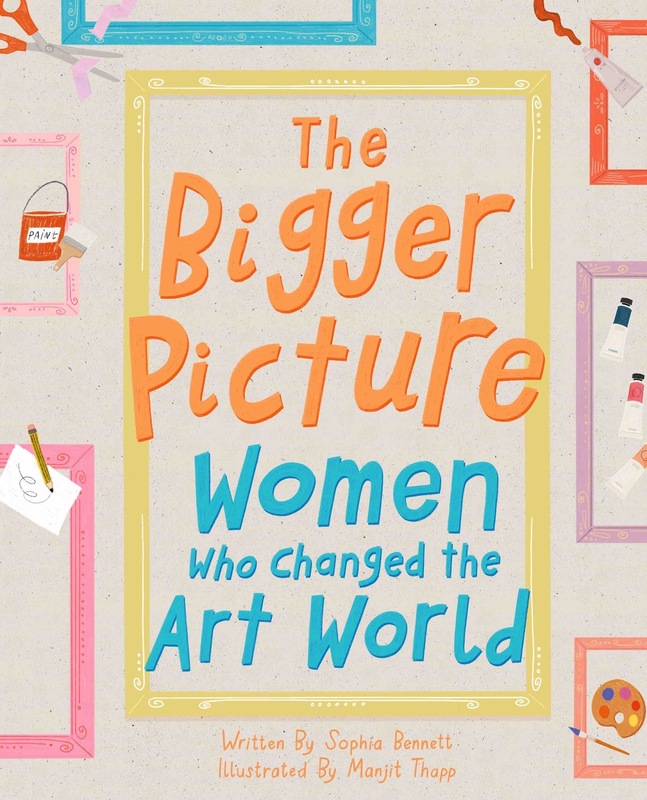 Another thing I found fascinating: how once women became writers of art history, instead of merely the passive objects of it, the bigger picture of great women’s achievements began to emerge. Yakoi Kusama is one of the most successful artists alive today. In 2014 her solo shows – and there were many of them – were attended by more people than those of any other artist in the world. Her works are alive with colour and pattern and, to quote one of her works ‘Filled with the Brilliance of Life’. She is known as ‘the princess of polka dots’. Yet Kusama has lived with mental illness most of her life. In fact, this has been a contributing factor to her career. Yayoi sees the world differently from most people. From childhood she has had severe obsessive thoughts, and visions where sunflowers or dots on a tablecloth would seem to multiply until they were infinite and all around her. 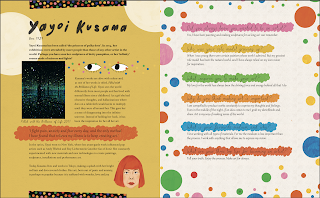 Though frightened at first, Kusama eventually found these visions reassuring as if the dots, like infinite stars, were connecting her to the universe. This is what she has consistently tried to express in her art. Her mother did not make it easy. 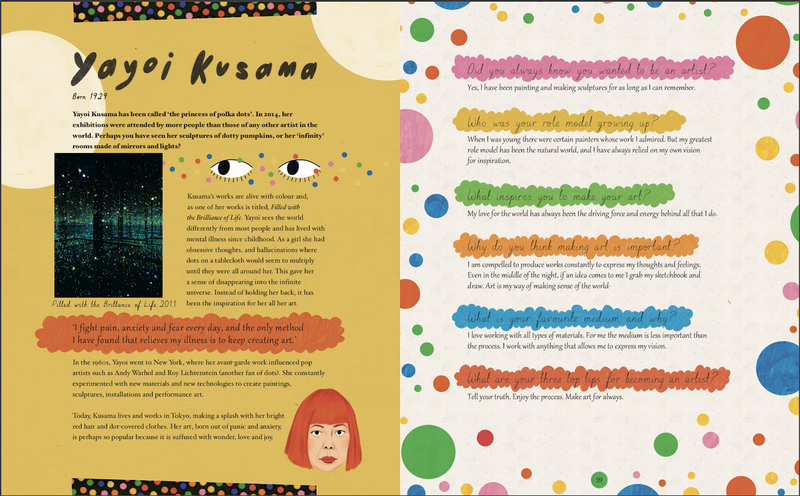 She wanted Kusama to marry, not become a professional artist, so she took Yayoi’s art materials away. Kusama simply started creating with old seed sacks and mud. She made thousands of works before she left Japan, and then destroyed most of them to make room for more. In 1957, encouraged by Georgia O’Keeffe, Kusama went to New York. Here, her avant-garde work influenced Pop artists like Andy Warhol and Roy Lichtenstein (another fan of dots). She constantly experimented with new materials and new technologies to create paintings, sculptures, installations and performance art. And yet she failed to find the success she craved, though the men around her did. She returned to Japan, disappointed and, it seemed, defeated. But she couldn’t stop making art. Today, Yayoi works in her Tokyo studio by day and lives in a psychiatric institution across the road by night. With bright red hair and polka dot clothes she is an icon of the art world, while crowds queue to see her sculptures of dotted pumpkins and ‘Infinity Mirror Rooms’ around the globe. She says, ‘Love is the most important thing.’ Her art, born out of fear and anxiety, is perhaps so popular because it is suffused with wonder and joy. I learned about Chicago, John, Kusama and a host of other artists during the intense months of research I did last summer for The Bigger Picture. It was the brainchild of Holly Tonks, then editor at Tate Publishing. Her idea was to celebrate Tate’s new emphasis on supporting traditionally marginalised artists, be they women, non-binary, non-white or not from the Western tradition of making art. And to target the book at the next generation of artists, art facilitators and art lovers – ie young teenagers: my audience. I found out about the project when I was pitching another book and basically begged to be allowed to write it. 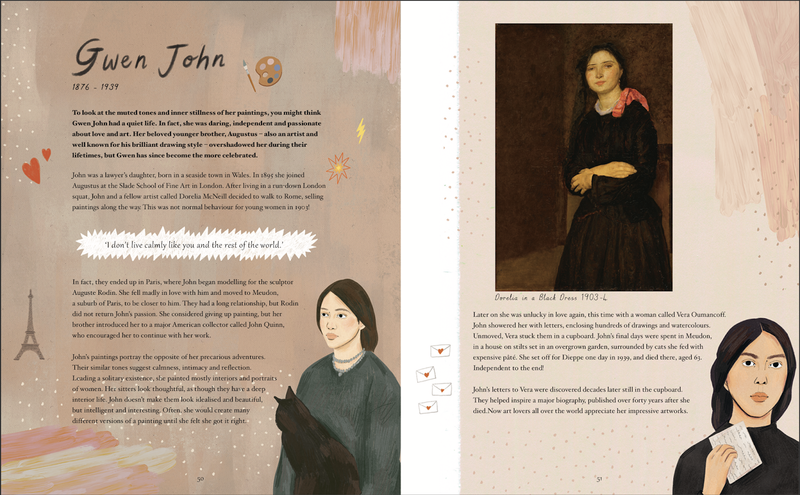 With over 50 full-colour spreads illustrated by Manjit Thapp, the result was a labour of love. It was made difficult – and therefore more interesting – by the fact that every artist in the book by definition has a fascinating life, body of work and artistic process… And I only had a maximum of about 400 words to describe each one. If she was alive and chose to contribute an interview (16 did) I sometimes had only 200 words. How could I possibly sum up the ground-breaking, zeitgeist-skewering, post-Communist, internet-savvy multimedia achievements of Cao Fei in three small paragraphs? I couldn’t, of course. I can only hope the book will get its readers Googling like crazy. 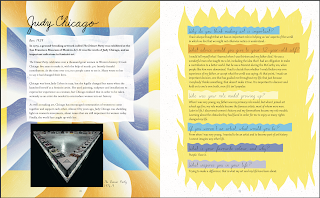 One of the toughest artist profiles to write was Judy Chicago’s. 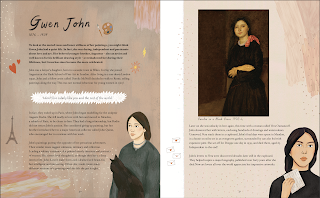 I wanted to include her because she is such a central feminist icon, with something to say about almost every aspect of art the book discusses. Then, to our joy and astonishment, she also agreed to contribute an interview. I was thrilled – and had to cut my own wordcount by two thirds. So I was pleased to know this blog would be a home for what I had to leave out, and the chance to connect Judy’s journey with some of her fellow ‘rejects’. For thousands of years – until the lifetime of my young readers – women have been ‘other’ in the history of art: seen and not heard. They have known every form of refusal, deprivation, anonymity, disappointment, invisibility and anxiety. And yet art has been made, always. Great art, even. Wherever we look, we find it, even if the name of the maker has been lost in the mists of time. Women have persisted, extemporised, explored, expressed, resisted, created, reached out, reached up. I find them all so inspirational. I love their work. 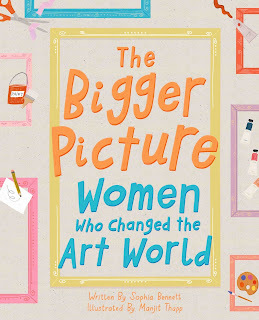 I so admire those other women – curators, critics, historians, biographers, gallerists, collectors – who since the 1970s have been gradually reintroducing them into the history of art where they belong. The teens I write for are besieged by images of perfection and it is creating levels of anxiety they don’t know how to manage, at an age when they should be loving the chance to explore who they want to become. Thinking like an artist is about looking, not looking perfect. Or being perfect. That is what Gwen and Yayoi and Judy knew. That’s what I hope the readers of The Bigger Picture can discover for themselves. So inspiring, thank you for this post. Most of my life I created and when those creations were not accepted I tried to please those who critiqued - always telling me I wasn't good enough, I couldn't do it, 'that is not for me'. The only person who seemed to enjoy my work was myself - so I stopped creating. There was no point in creating anything. No one cared. Then I decided if 'no one' cares, I shouldn't either. One day (actually over many years, but that was a difficult journey that's remembered only in shadow and haze) I realised if 'no one' likes what I create, I can create whatever I like. If everything is 'no good', I will be free of seeking approval of anyone. I've been told that's a good outlook, to not depend upon or seek the approval or constrain my passion to the limits of those who lessen. Perhaps that's correct and by not attempting to fit into the moulds of others I can create my own. But it would be welcome, from time to time, to hear "This is nice. This makes me happy. Thank you for making this." from some unknown voice.